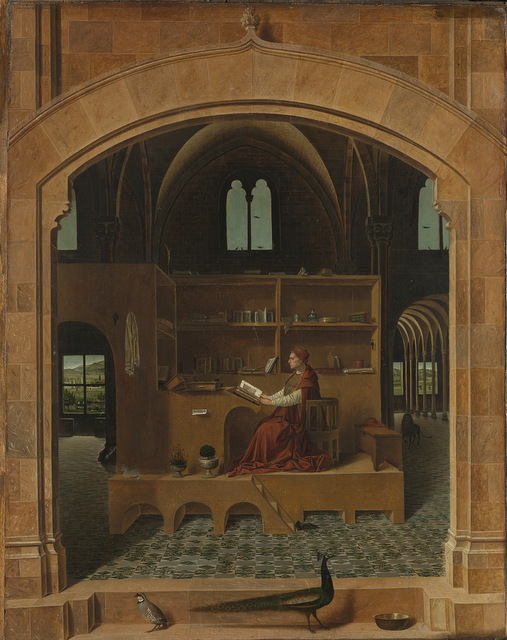 The National Gallery has put on an exhibition that explores the role of architecture in Italian Renaissance paintings. 'Educational' exhibitions like this can often feel very academic and therefore difficult to engage with. This exhibition does start slow with some preparatory drawings but as visitors step inside the main rooms of the exhibition, it comes to life both with great works and some excellent architectural insights. Architecture plays a significant role in focussing where the viewer's attention should lie when looking at a painting. 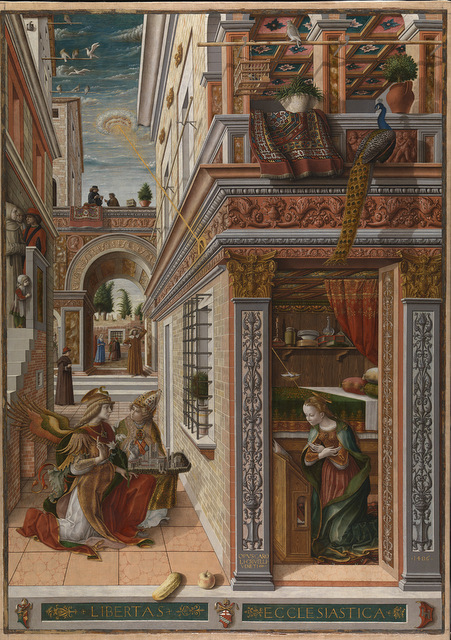 This is most obvious in Carlo Crivelli's Annunciation where the Virgin is in the bottom right of the painting but our eyes are drawn to her by a beam of light signifying the Holy Spirit cutting across the piece. In one work a pink building plays off the pink cheeks of Helen of Troy as she is abducted, and the use of landmarks such as the Piazza di San Marco instantly places a scene in Venice, thus giving it some context. 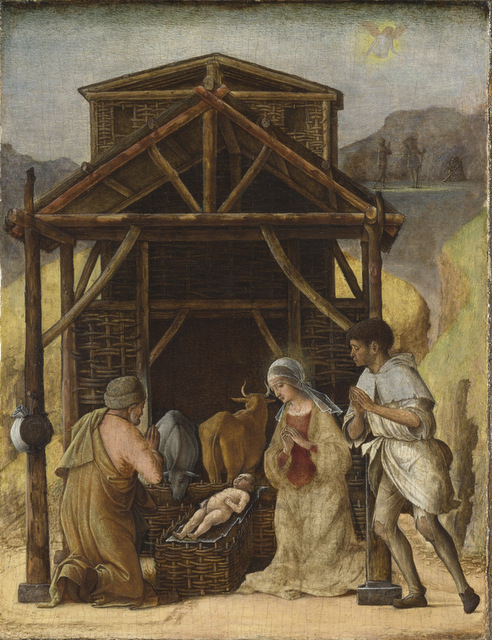 As expected for the Renaissance, there is plenty of religious symbolism within the architecture, such as a Christ child within ruins, signifying that he has been born to bring in a new order that will replace the old. 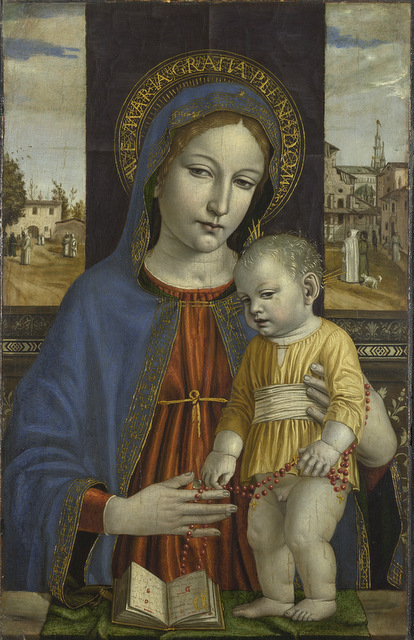 Despite some excellent works here, there are no big names, save for some Botticelli's. 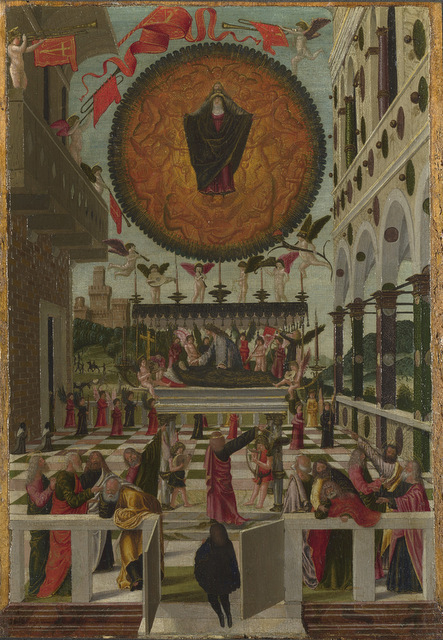 But as an exploration of the impact of architecture within Renaissance painting, this exhibition offers some impressive insights while also featuring some great works. 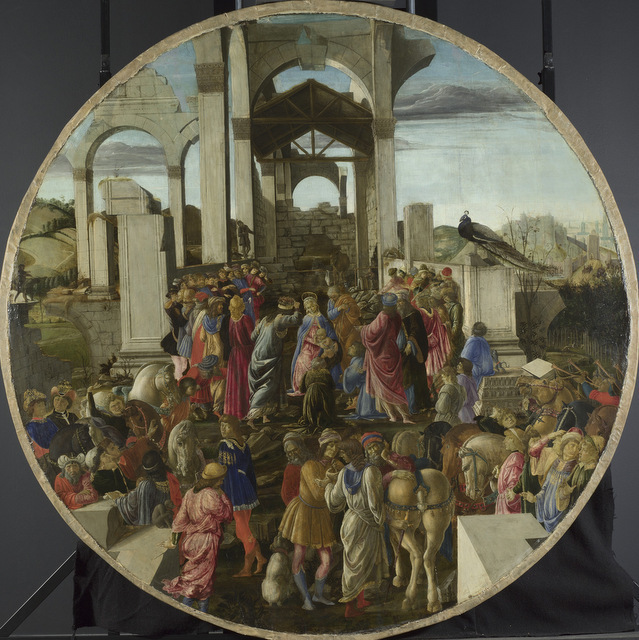 Building the Picture: Architecture in Italian Renaissance Painting is on at The National Gallery until 21 September. Admission is free. Also still on at the National Gallery are the magnificent Veronese blockbuster and the last week of Strange Beauty: Masters of the German Renaissance.